Back in 2005, INTERTANKO’s Poseidon Challenge was the talk of the town. The challenge was a way of moving towards the tanker industry goals of zero fatalities, zero pollution and zero detentions. It was an invitation to everyone in the ‘Chain of Responsibility’ to work together in a sustained commitment to continuous improvement and was founded on the principle that shared goals are achieved by proactive and voluntary efforts to set high standards for performance by the industry itself, rather than waiting for others to step in and set the agenda. 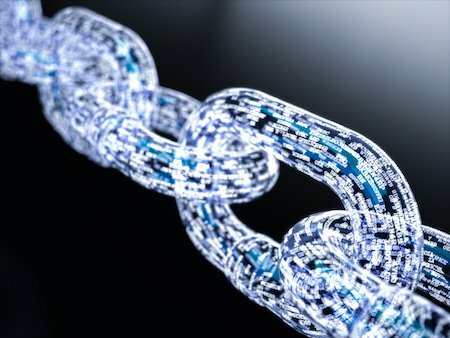 Now there’s a new chain capturing the imagination of the industry: blockchain. So what is a blockchain and why the excitement? Blockchains came to the attention of the public with the rise in popularity of Bitcoin - the digital currency with a reputation for being favoured by users of the dark web. Traditional currencies use tokens (such as coins) as money. Bitcoin is a digital currency, using cryptographically secured, distributed ledgers (the blockchain) as the token. Bitcoins are held in bitcoin wallets and when a transaction occurs, the value of the transfer is added to the blockchain. Blockchains have other uses as well - they're not only used to provide the framework for cryptocurrencies, and new companies are emerging to apply the technology across a wide range of sectors. Where speculators have traditionally followed the IPO (Initial Public Offering) of companies listing themselves on a stock market, investors looking for glitzy returns today are attracted to ICOs (Initial Coin Offerings). This market is big business with around 6 companies raising over $750m via ICO in the second quarter of 2017! One of the most successful to date is Tezos, which recently closed $230m. From their website: “Tezos is a new decentralized blockchain that governs itself by establishing a true digital commonwealth. It facilitates formal verification, a technique which mathematically proves the correctness of the code governing transactions and boosts the security of the most sensitive or financially weighted smart contracts.” Tip: If you’re not 100% sure that what that means (and you won’t be alone if that’s the case) then this market might be a bit Wild West for you. An increasing number of column inches in the maritime industry press are being devoted to blockchain, mainly based on the broad assumption that blockchains will reduce the time burden of managing bills of lading and other related trade documents. Interested in learning more about Bills of Lading? Use promo code BLOCKCHAIN on our shop to get free access to our guide. Dentacoin - Launching late September, this is the blockchain solution for the dental industry. PotCoin - Banking for the cannabis industry: secure digital cryptocurrency, network, and banking solution for the $100B global legal marijuana industry.